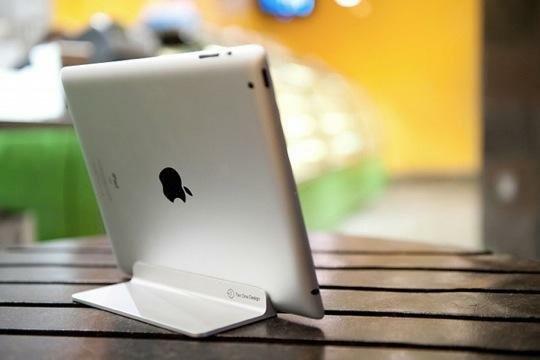 Magnus – the perfect iPad stand? We’ve seen more than a few iPad stands come across our desks, but none that quite fit into the Apple aesthetic like the Magnus ipad Stand. After all, the one that Apple makes is still clinging to the old white plastic instead of getting onboard with the brushed aluminum that now exemplifies the Apple look. Instead of ponying up any money for something made of plastic, we are inclined to suggest the Magnus iPad stand ($50) instead. 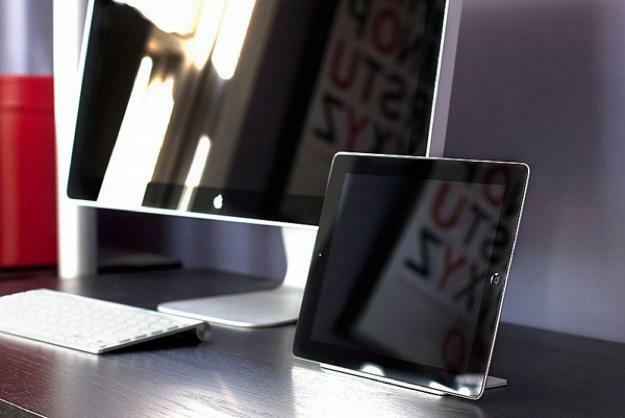 This minimalistic iPad stand is designed for the iPad 2 and is almost invisible without a second look. The Magnus stand is machine-crafted from pure aluminum and then hand-finished and fitted with magnets and rubber feet. The diminutive stand is more secure than you’d think thanks to powerful magnets that work with the iPad 2 for an extra-secure hold. You might even need two hands to remove your iPad from its stand. Going along with its minimalistic spirit, iPad 2s can only be used in the stand sans-case, although protective skins will still allow the magnets to work their magic. From the front, you literally can’t even tell that the iPad is in a stand, which is probably exactly what the designers were going for. We like the looks of this for anyone who uses an iPad 2 for working at a desk or viewing photos/watching videos. It makes for a nice little set up with great minimalist style. The price doesn’t make us run away, either.